Esta Agava-Czik, is Partner in the firm’s Real Estate Group. She specializes in real estate law, banking and financing. In practice for over 30 years, Esta has earned a “AV-Preeminent” rating from her peers, the highest legal rating awarded by the legal rating publisher Martindale-Hubbell. Only two percent (2%) of New York metro attorneys have earned an “AV” rating. Esta was also named by Long Island Business News as one of Long Island’s leading attorneys in Commercial and Residential Real Estate. Esta has a broad range of experience in real estate and commercial matters. She represents institutional lenders in commercial transactions including real estate financing, construction financing, asset-based and corporate lending, equipment financing, mezzanine financing, debt restructurings and the purchase and sale of bank assets. She also represents developers and investors in the purchase, sale, construction, development and financing of commercial buildings, industrial facilities, shopping centers, hotels, 1031 properties and multi-family housing located throughout the United States. In addition, Esta is well versed in leasing and represents both landlords and tenants in negotiating leases, net leases and ground leases for retail, commercial and industrial space. Recently Esta represented a prominent owner in negotiating some of the largest per square foot leases of office space on Long Island. She also represents a national proprietary trade school for all of its leasing needs in the North East. 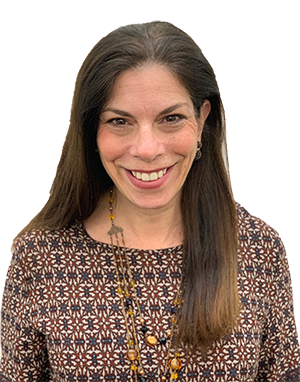 Prior to joining the firm, Esta was Vice President and Associate General Counsel at both First Nationwide Bank and Atlantic Bank and practiced in New York City with Schulte Roth & Zabel, LLP, Friedman Krauss & Zlotolow and Ellenoff Grossman & Schole LLP. Esta received her Juris Doctor and Bachelor of Arts degrees from New York University, where she was a University Scholar and graduated with honors. Esta is admitted to practice law in the State of New York. She is a member of the New York Bar Association, LIREG (Long Island Real Estate Group) and Moxxie Network, a long Island women’s professional group. Through Moxxie and LIREG, Esta serves as a mentor to college students seeking professional careers and recently won an award for her outstanding mentoring work. Esta is an avid fundraiser for the Making Headway Foundation and the American Cancer Society and supporter of the Nassau County Museum of Art. Esta lives in East Hills with her husband, Tom Czik, who is also an attorney.